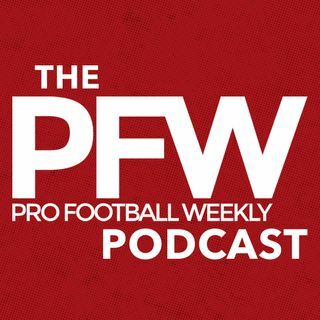 On our brand-new episode, PFW contributors Marcus Mosher and Mark Schofield join Arthur to dissect the free-agent bonanza and continue looking ahead to the draft. Marcus breaks down Antonio Brown and the rest of the Raiders' haul and explains why the Cowboys' quiet approach makes sense. He also touches on the Ravens, Jets with Le'Veon Bell and bloated LB and S markets. Schofield explains the fit with each of big vet QB moves and shares his first take for PFW on the incoming QB ... See More crop.